The affluent city-state—whose generally uncongested roads are a contrast to many traffic-choked cities in the region—has become a testbed for transport innovations. Last year it hosted a limited public trial of the world's first driverless taxis. 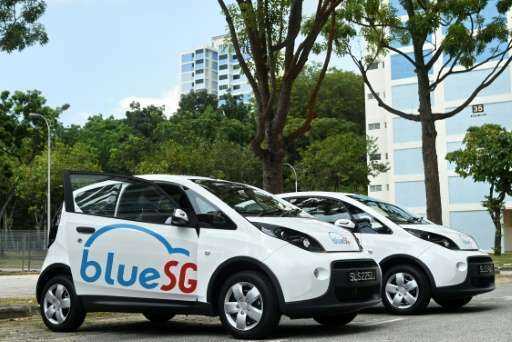 Blue Solutions is the world's biggest operator of electric car-sharing services, with 5,000 other electric vehicles in eight cities—including Paris and Lyon in France, Turin in Italy and Indianapolis in the United States.